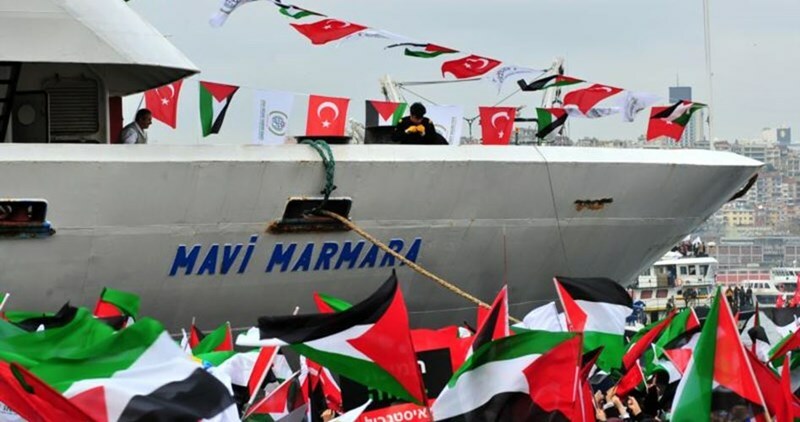 Mavi Marmara Freedom and Solidarity Association called on the Turkish government to press for the removal of the Israeli blockade on Palestinians in the Gaza Strip as one of its core three demands for resuming ties with Israel. "We will work by all possible means to foil any attempt to drop the lawsuits brought against those involved in Mavi Marmara attack," the statement said. 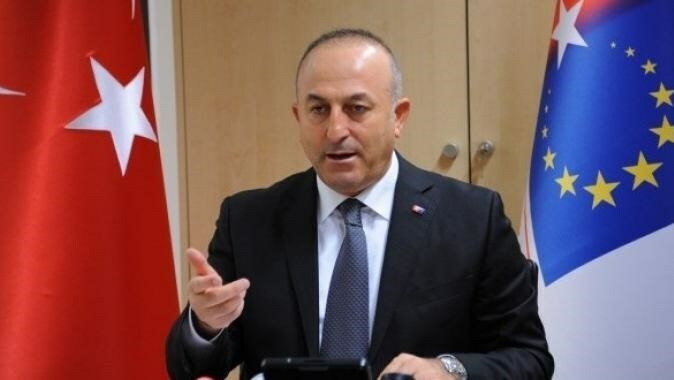 Turkey‘s Foreign Minister Mevlüt Çavuşoğlu said late Friday during a visit to New York that only one of three Turkish conditions for renewing full diplomatic relations with Israel have been met, and talks are still ongoing. "One of our conditions has been met. There are ongoing talks at expert level to fulfill the other two," Çavuşoğlu was quoted as saying by Anadolu news agency. In summer 2010, Israeli Navy Forces brutally attacked the Freedom Flotilla Convey, compromised of six boats, while sailing in international waters on its way to Gaza. 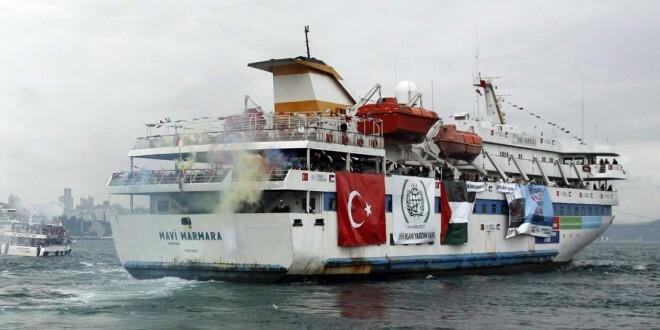 On Mavi Marmara, the convoy's flagship, Israeli soldiers murdered ten unarmed Turkish activists and injured 40 others. 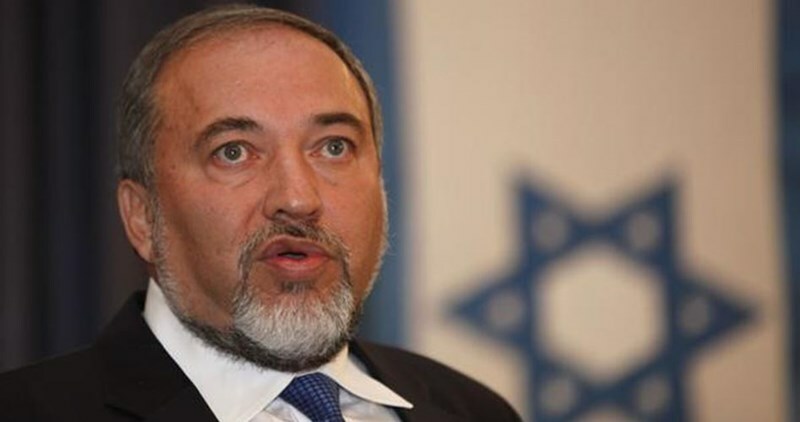 Former Israeli foreign minister Avigdor Lieberman has ruled out that Turkey will give up its request to end the blockade on Gaza as a condition for reviving its relations with Israel. Lieberman, the chief of the right-wing party Yisrael Beiteinu, slammed in press remarks on Friday the Israeli government's intention to normalize relations with Ankara, describing president Recep Erdogan as a leader of an extremist Islamist regime. He warned that Israel would damage its relations with Greece, Cyprus and Egypt if it decided to normalize its relations with Turkey, expressing his belief that Israel would not respond to Turkey's insistence on lifting the blockade on Gaza. In this regard, an official source in Tel Aviv told a Hebrew radio that the Israeli government would never accept ending the siege on Gaza, affirming that if Turkey insisted on this matter, there would be no political agreement with it. The Family of a Syrian-Palestinian refugee called Yasin Mohammad Mufleh appealed to the Turkish authorities for the release of its son who is held at a jail in Izmir city in Turkey. 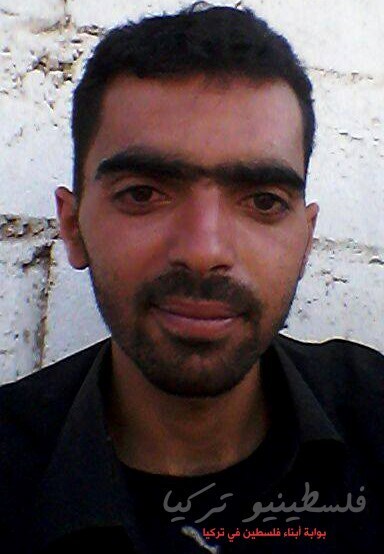 The family of Yasin said he was arrested while attempting to immigrate to Greece in order to escape death in Syria. His father told “Palestinians of Turkey” website that Yasin possesses all official documents of identity and that he has been detained for no reason. He has his university degree, UNRWA card and an ID card to verify his identity, the father added. The head of the Turkish police station where Yasin is held revealed that he was arrested among a group of Afghani immigrants by mistake, the father disclosed. The family asked the Palestinian Embassy in Ankara to urgently intervene for the immediate release of its detained son Yasin. It also asked for improving the living conditions of Palestinian refugees in Turkey in terms of residence permits, work opportunities, and provision of aid of all kinds. Hundreds of Syrian-Palestinian refugees are living in Izmir city in Turkey which is considered a heading point toward Greece via the sea. Hundreds of those, including women and children, who tried to reach Greece died drowning. 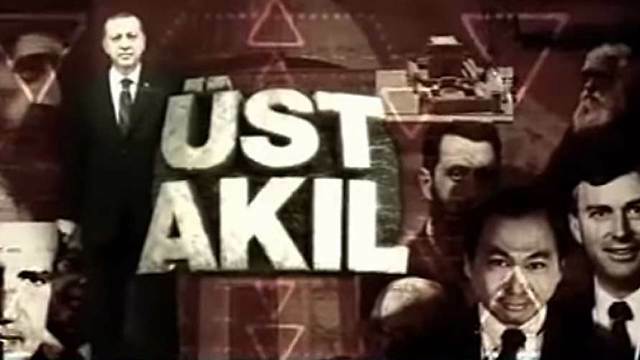 Anti-Semitic documentary, based in part on Erdogan speech, claims Jews have conspired to dominate the world for 3,500 years; Turkish ruling party said to be encouraging such conspiracy theories. A documentary recently aired on pro-government Turkish news channel A Haber has sparked a new debate about anti-Semitism in Turkey, home to approximately 17,000 Jews. Minister Ahmet Davutoğlu, appear in the film, which is based in part on a speech given by President Recep Tayyip Erdoğan last December. Mastermind opens with the speech, in which Erdoğan describes “operations” against Turkey. “Behind all these there is a mastermind,” he explains, before telling his audience “you know who it is.” The narrator then says this mastermind, who “rules, burns, destroys, starves the world, creates wars, organizes revolutions and coups, establishes states within states, (and is) the curse of the entire world,” can be found “in Jerusalem, where the sons of Israel live,” before delving into a conspiratorial tirade of historical manipulation. “This is pretty much the worldview in the AKP now,” says writer and political commentator Mustafa Akyol, referring to Turkey’s ruling Justice and Development Party. The AKP started off as a reformist, Islamic-inspired political party in 2001, distancing itself from the conspiracy theories of some of Turkey’s fully Islamist parties. However, according to Akyol, the party became increasingly paranoid, anti-Semitic and conspiratorial following challenges to its rule such as the widespread Gezi Park protests in spring 2013 and investigation of high-level government corruption in December of that year. The Gezi Park protests, in which 8 people died and around 8,000 were arrested, began as an environmental protest against government plans to urbanize the park but flared into wider dissent, due to heavy handed tactics by riot police and wide spread resentment of the Erdoğan government. “They decided to interpret these not just as Turkish affairs but a global plot to topple them,” he says. In one often-ridiculed instance during the protests, Erdoğan’s top economic advisor Yığıt Bulut even alleged that foreign forces were trying to assassinate the then prime minister using telekinesis. Akyol says the military coup ousting then Egyptian president and Muslim Brotherhood member Mohamed Morsi in July 2013 also scared the pro-Brotherhood AKP. “In their mind, the coup in Egypt was manufactured by America and Israel to get rid of Ikhwan (the Muslim Brotherhood), and the same thing would have happened in Turkey,” had Erdoğan not prevented it, according to Akyol. Furthermore, opposition to Israeli policy often transforms into anti-Jewish sentiment. “Israel isn’t just seen as a nation-state which is heavy-handed in its counter-insurgency,” Akyol says. “It’s seen as ‘the Jews.’ From anger against Israel you jump into a general dislike of the Jews.” According to the Pew polling agency, 86 percent of Turks see Israel unfavorably. Dr. Louis Fishman, an American-Israeli specialist in Turkish affairs, worries the anti-Semitism in Turkey is no longer “isolated to the back shelves of bookstores,” but is shifting into the official mainstream. “The fact that there are anti-Semites or anti-Semitic propaganda in Turkey isn’t the main point. You have anti-Semitism everywhere in the world,” Fishman told The Media Line. “The problem is they’re on state-propagated TV.” “It’s not just that the state is ignoring it,” he says. “The state is inherently part of it.” Deputy Prime Minister Bülent Arınç’s said earlier this month that “no one in Turkey is anti-Semitic,” and condemned other countries for “lagging behind Turkey,” in tolerance. Former deputy Prime Minister Beşir Atalay accused “international Jewry” of being behind the Gezi protests because they are “jealous of Turkey’s growth.” Though Ataly later retracted his statements, none of the other officials apologized nor were condemned for their anti-Semitic remarks. Erdoğan himself has made public comments about the “interest rate lobby,” often code-word for a Jewish plot, and said Judaism is “demeaning” to women at an award ceremony in Bursa in February. Dr. Aykan Erdemir is a member of parliament from the secularist opposition Republic People’s Party (CHP) and one of the founding members of the International Panel of Parliamentarians for Freedom of Religion or Belief. Erdemir says hate speech in the media and politics encourages such views in regular society. “(Erdogan) has in a way inculcated a lot of prejudice and hate in Turkish society,” he says. “How? Through education, through government-mouthpiece media, through hateful and spiteful government announcements and declarations.” He worries Turkish society has internalized this government-propagated hate, in the years since AKP came to power in 2002, and that the damage will last for decades. “Outing the AK Party is a simple task, but undoing hate, intolerance and prejudice, that’s a very long process,” he told The Media Line. Turkey ranked 17th in a report by the Anti-Defamation League last year, with 69 percent of Turks labelled anti-Semitic, compared to the world average of 26 percent. Between July 17 and 18 last year during the strikes in Gaza, 30,926 Turkish-language tweets were sent by 27,309 users praising Hitler and the Holocaust, according to a survey by research group Gonzo Insight. Erdemir says that during the AKP’s tenure, “there have been some baby steps vis-à-vis extending minority rights, and I salute them for that. But ultimately, most of this ends up being window dressing,” pointing out that anti-Semitic rhetoric has risen to unprecedented levels. “Erdoğan said anti-Semitism is a crime against humanity, but then he attacked an aggrieved Soma miner with the words ‘you sperm (or spawn) of Israel,’” Erdemir says, referring to an incident during the Soma mining disaster last May when Erdoğan was caught on video allegedly making the slur. Mois Gabay, a 31-year-old Jewish Turk who frequently contributes to the Jewish newspaper Şalom, says it’s important to acknowledge the progress made under the AKP. He mentions the recent opening of the government-restored Great Synagogue in Edirne, Europe’s third largest. “It was such an amazing thing for us,” he says. Other steps have also been taken. The Holocaust Memorial Day in January was given more pomp than usual, being held in the capital Ankara and attended by a high-level government official for the first time. Several old churches and synagogues have been restored and reopened by the government and $2.5 billion worth of minority-owned properties seized by the state in the past have been returned. Though anti-Semitic speech runs rampant, the government-organized pogroms and minority-targeting taxes of the twentieth century are a thing of the past, and anti-Semitic attacks are exceedingly rare. “I’m feeling more positive about the atmosphere now, but still feeling negative about the manipulation of the media,” Gabay says. “It’s become normal to write things against Jews because there’s no punishment for it,” he says, adding that it has worsened in the last two years. Though hate crime legislation was passed last year, Gabay would like to see a hate speech law. “The laws have to be changed and have to be more functional for all minorities,” he says. Though anti-Semitism and other forms of hate speech have been known to creep into even mainstream secularist newspapers, the worst offenders are the Islamist ones such as Yeni Akit, which is distributed onboard Turkey’s national airline, and whose editor regularly meets with Erdoğan and flies in his presidential jet. During the Soma disaster the paper’s headline proclaimed “The boss's son-in-law is a Jew.” Last September Yeni Akit columnist Faruk Köse called on Turkey’s Jews to be taxed to pay for buildings damaged in Gaza during Operation Protective Edge. Gabay told The Media Line that quite a few young Jewish people are leaving Turkey, and he asserts that one reason is because they don’t feel comfortable being bombarded by such hate speech. Dr. Fishman, who lived in Turkey for ten years, says this is no surprise. “If you’re a Jewish family, your people are cursed regularly on the nightly news … you read Yeni Akit and see this anti-Semitism. Palestinian refugee families have appealed to the international human rights institutions to improve their very poor living conditions in the Turkish city of Kilis. The appeal was launched by 49 Palestinian families who fled from the bloody events in Syria and took refuge in Kilis. “We reached Turkey after we have been obliged to escape from the deathly hell raging in Syria due to the heavy bombing and large destruction”, the families said in a written statement. “We are now stuck in Kilis after those who claimed responsibility ignored our suffering,” they continued. “We have only two choices, either to take refuge in Mediene camp amid unbearable living conditions or to return to Syrian opposition-controlled areas which are daily bombed and shelled”. 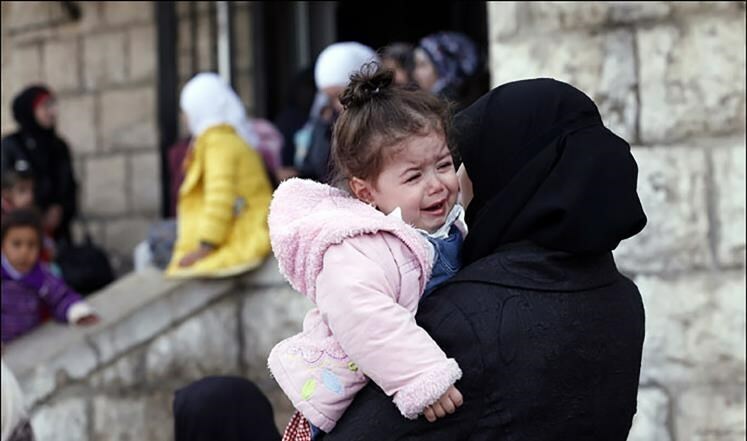 Between 3,000 and 5,000 Palestinian refugees were forced to leave their refugee camps in Syria and to take refuge in Turkey fleeing from the daily bombing and clashes. However, their very difficult living conditions force them to illegally immigrate in small boats heading to Europe looking for a decent life. New figures show Turkey has been boosting its trade ties with Israel in recent years, despite the harsh anti-Israeli rhetoric used by President Recep Tayyip Erdogan. Data from the Turkish Statistics Institute (TurkStat) showed that the volume of mutual trade between Turkey and Israel exceeded USD 5.6 billion in 2014, showing a nearly 50-percent increase from 2009. 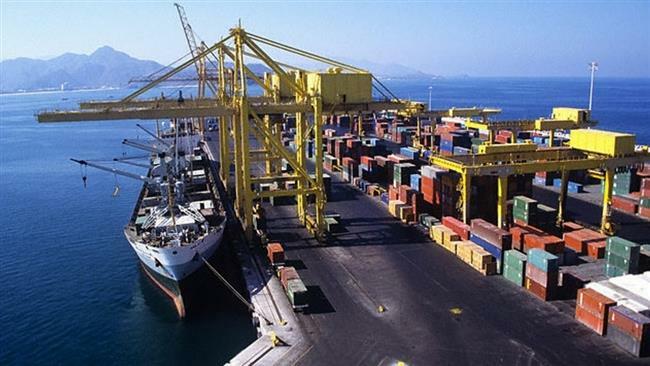 According to TurkStat, Turkey exported more than USD 2.9 billion worth of goods to Israel in 2014, while its imports were USD 2.7 billion during the same year. The trade volume between Ankara and Tel Aviv stood at USD 2.6 billion in 2009. The rise in bilateral trade comes as Erdogan has been harshly criticizing Israel over its brutal and repressive policies against Palestinians in Gaza. Turkey downgraded its ties with Israel after the Tel Aviv regime killed nine Turkish pro-Palestinian activists on a flotilla that was heading toward Gaza in 2010. Another Turkish activist later died of wounds from the attack. Ankara reacted harshly and while Israelis later apologized for the killings, the ties of the former allies remain to be normalized. Since the 2010 flotilla incident, Turkish officials have taken a more outspoken rhetoric over Israel’s crimes against the Palestinians. Now the Turkish opposition is accusing Erdogan and his ruling Justice and Development Party (AK Party) of populism and hypocrisy. Faruk Logoglu, a senior member of opposition Republican People’s Party (CHP), criticized the government for pursuing a “cheap and dishonest” policy in respect to Israel and the West. “The AK Party acts pragmatically with Israel as well as the US and the European Union,” said Logoglu. During the 2014 Israeli war on the Gaza Strip, which left more than 2,140 Palestinians dead, Turkish opposition groups urged the Ankara government to reconsider trade ties with Israel to express solidarity with the Gazans, a demand ignored by Ankara. The Islamic Resistance Movement, Hamas, afternoon Saturday hailed a decision by Turkish Foreign Minister Mevlut Cavusoglu to pull out of the Munich Security Conference due to projected participation of Israeli policy makers in the symposium. "This move exemplifies Turkey's role in standing by the Palestinian people and their legitimate fight for freedom," a Facebook statement posted by Ezzet Resheq, political bureau member of Hamas, read. Ankara's foreign minister has declined an invitation to join the upcoming security conference in Munich due to the expected participation of Israeli officials. Relations between Turkey and Israel have gone downhill after Israeli commandos raided the humanitarian Freedom Flotilla dispatched by a Turkish-based charity organization to the blockaded Gaza Strip late May 2010, killing ten Turkish activists. The Turkish foreign minister has withdrawn from the Munich Security Conference over the presence of an Israeli delegation in a marginal session. Mevlut Cavusoglu decided on Friday to pull out of the conference at the last minute after he found out that organizers of a meeting on Middle East had included representatives from Israel. 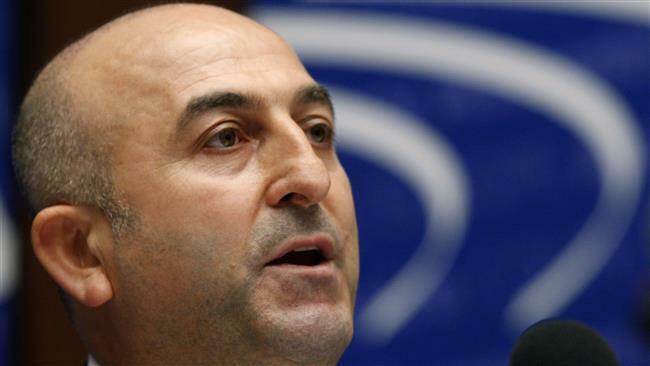 "I was going to attend the conference but we decided not to after they added Israeli officials to the Middle East session at the last minute," Cavusoglu said in a news conference after a meeting in Berlin with Turkey’s envoys to the European countries. However, he said that the decision has nothing to do with Turkey’s relations with Germany. Turkey downgraded its ties with Israel after the Tel Aviv regime killed nine Turkish pro-Palestinian activists on board of a flotilla that was heading toward Gaza in 2010. Another Turkish activist later died of wounds from the attack. Ankara reacted harshly and made the Israelis apologize for the killing, but the ties of the former allies remain to be normalized. The 2010 tragedy has also made Turkish officials more outspoken against Israel’s crimes against the Palestinians. Last summer, Turkish President Recep Tayyip Erdogan called Israel’s massive assault on Gaza a clear case of barbarism which even outsized atrocities committed by Hitler. The Munich Security Conference is the largest gathering on international security policy and has been taking place annually since 1963.